The gang is back with lots to talk about including the big Patch 8.2 reveal and some April Fool's Patch notes, but first Rei, Eric, and Harv talk about some bugs they've found running Heroic Mekkatorque. They ran into an issue with a raid member who was using crafted pants requiring maxed out blacksmithing, who can't use the pants during the Horde part of the fight because the race change causes him to lose the racial bonus to blacksmithing, which drops his skill below the requirement for the pants. Second, they've found that the Wormhole Generator does not always work when placed. 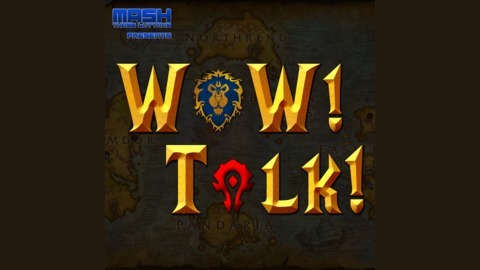 Nick, meanwhile, has been listening to other, non-WoW podcasts and compares an argument in the Shakespeare community about changing the text of his plays to the WoW Classic community and how they are protective of the original way the game was implemented. YepX emailed in with some thoughts about the recent leveling exploits. Nick responds that a rule is a rule and there should be punishments for breaking them. Harv maintains that leveling through timewalking dungeons is great and should be used instead of regular leveling. Blizzard recently gave an update on Patch 8.2 and all the content it is bringing. Nick reviewed most of the announcement but the gang talked about the changes coming to the Water Strider mounts, as they are losing their water walking ability now that Mount Equipment will be available. Eric, as a death knight, expects he should be fine. Nick is excited to see what people will datamine once the PTR is up as we should begin to know how the rest of the expansion will play out. Blizzard also explained how they plan to implement PVP in Classic WoW across the six phases. Additionally, IKEdit released a Remastered Black Temple trailer that is worth checking out. April Fool's came and went, and Blizzard released their fake Patch 8.6.7 (build 5309) patch notes, which is already a great joke. The gang looks over the notes as is custom and shares their favorite gags. Demon Hunters in particular got a ton of ridicule. Nick laments that Diablo 4 was not announced on in-season April Fool's Day. 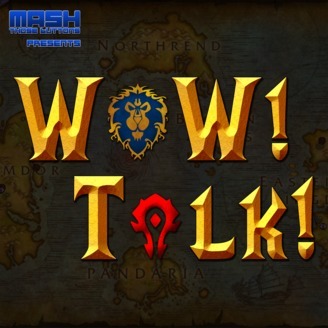 Finally, the gang looks back at episode #30, when they had a long discussion about people not paying attention in raid.